In the current state of American indulgence, SUVs and crossovers alike are dominating suburban driveways and garages. 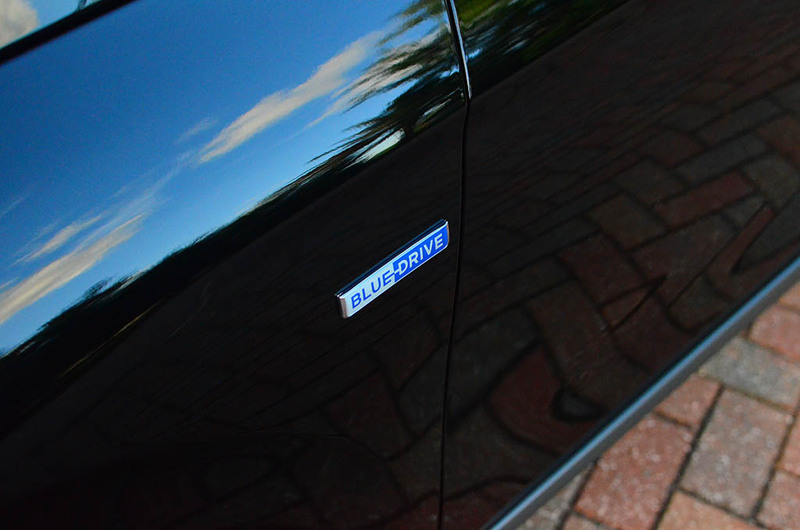 As automotive manufacturers choose to stay in a holding pattern awaiting potential changes in mpg regulations and/or CAFE rules, some are making preparations to appease those on the conventional side of things with hybrid vehicles. In comes Hyundai and their Prius fighter aptly named Ioniq. 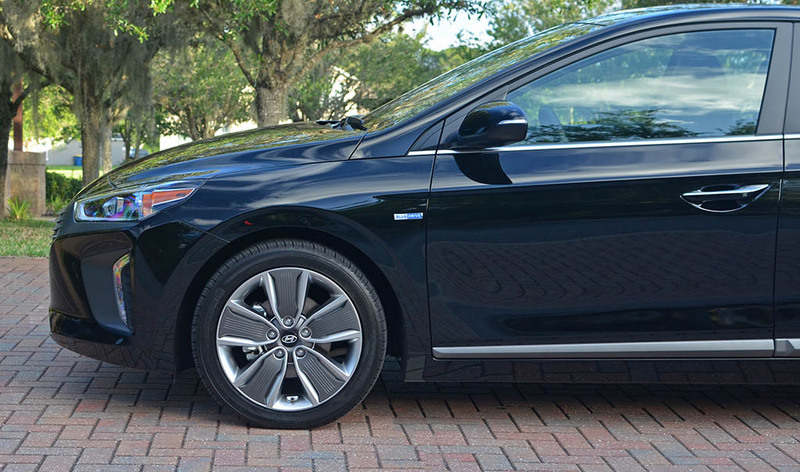 Hyundai, believe it or not, has been in the hybrid game for about seven years now. During that time they gained notoriety to bringing a valid fight to brands like Toyota in their endeavor to offer a hybrid that didn’t look and drive like a vehicle that has compromised fundamental expectations of what many define as a “normal” vehicle. 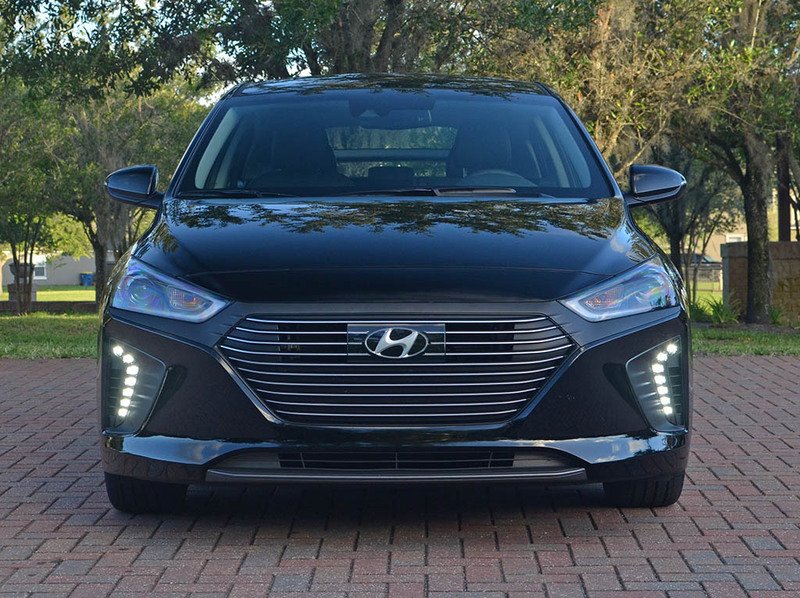 With that, Hyundai has expanded their hybrid efforts to introduce the Ioniq, a direct competitor to the prided Toyota Prius. When you bring a fight to the Toyota Prius you better have your A-game on as it is touted as being the most recognized and highest volume seller for its coveted hybrid segment. Fortunately, after a week with the Hyundai Ioniq I can say without a doubt that the there is now a worthy contender for the Prius. The new 2017 Hyundai Ioniq Hybrid brings a hodgepodge of power units that work in harmony for a nearly seamless integration of a decent-performing compact sedan or hatchback. 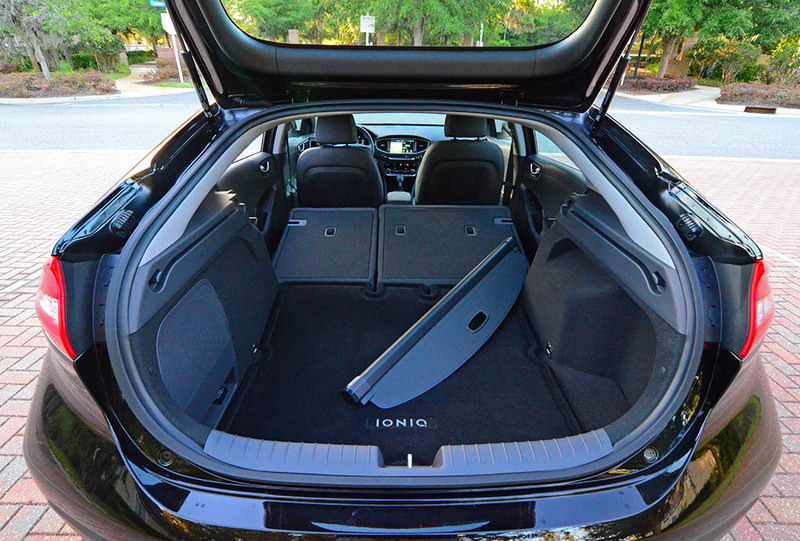 In the case of the Ioniq, you get to enjoy the benefits of a hatchback form with all of its additional cargo room while slowly sipping fuel at the snail-pace of about 55 miles to the gallon in my test vehicle’s top-level Limited trim and up to 59 mpg in the mid-level Blue trim. The innovation and forward-thinking engineering that went into the Ioniq Hybrid is evident in its easy-to-drive nature and remarkable fuel efficiency to boot. 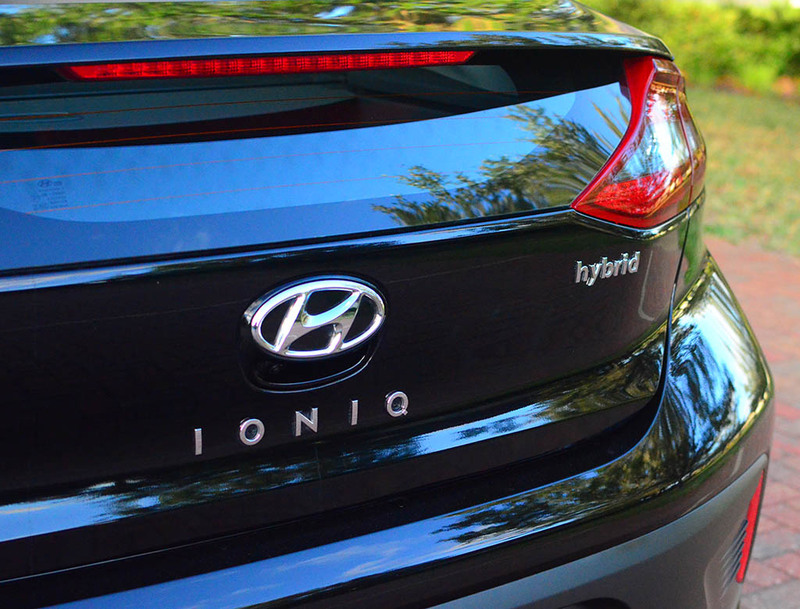 The Hyundai Ioniq Hybrid gets powered by a 1.6-liter 4-cylinder engine with 104 horsepower and 109 lb-ft of torque. While those numbers don’t impress, things come together well with the electric motor supplying its own 43-horsepower and 125 lb-ft of instant torque that is transmitted through a 6-speed dual-clutch automated transmission to power the front wheels. Total output for the hybrid system comes to 139 horsepower, which gets things moving to reach 60 mph in about 9.4 seconds. During my test, I was able to best a 0-60 mph time of about 10.1 seconds. The overall pep of the Ioniq leaves a bit to be desired where it sometimes requires full-throttle inputs to merge with highway traffic or occasional Sport-mode-induced situations for a more substantial mid-range. 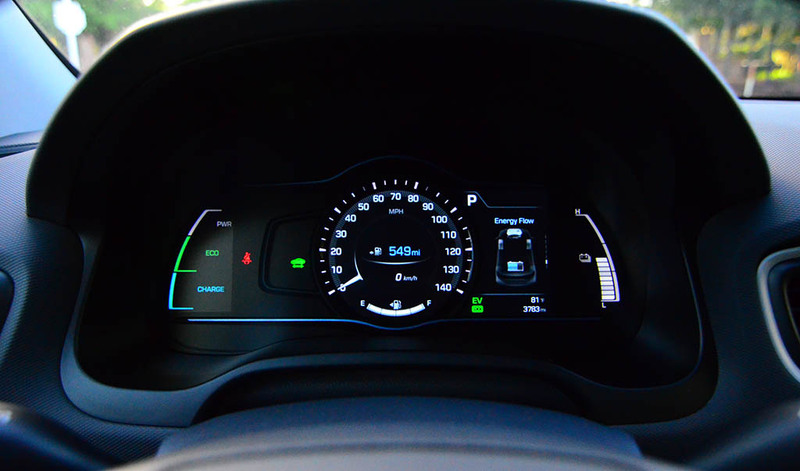 Driving in the normal mode, which by default is the Eco mode, brings a lot of progressive thinking on the part of the electronics to manage the use of the battery-powered motor and gas engine. 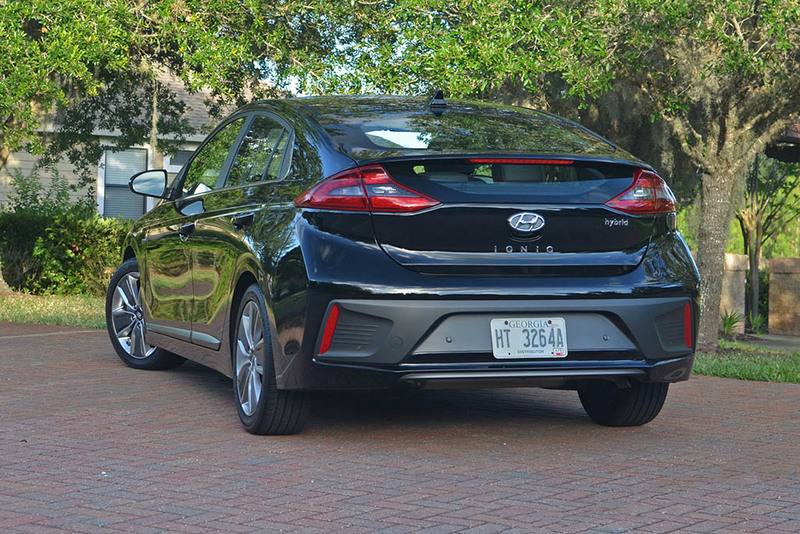 In totality, the Ioniq is a decent performer for its caliber – in being a compact hatchback hybrid running against the popular Prius. 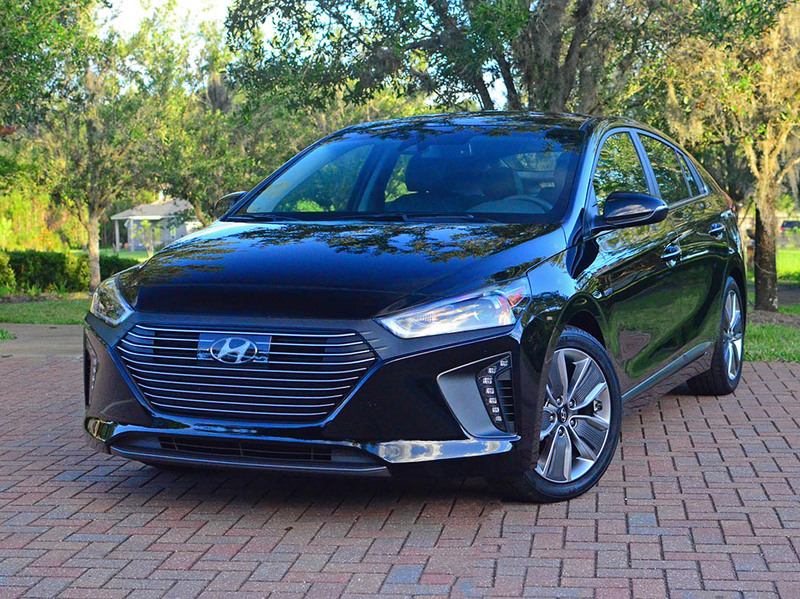 My assessment of the driving nature in the Ioniq is that its ability seldom switches to full electric power to maintain highway speeds is a great benefit to add fuel efficiency. Moreover, the 32-kilowatt electric motor appears to be extremely efficient as it quickly transitions to feed the lithium-ion battery back upon regenerative braking. 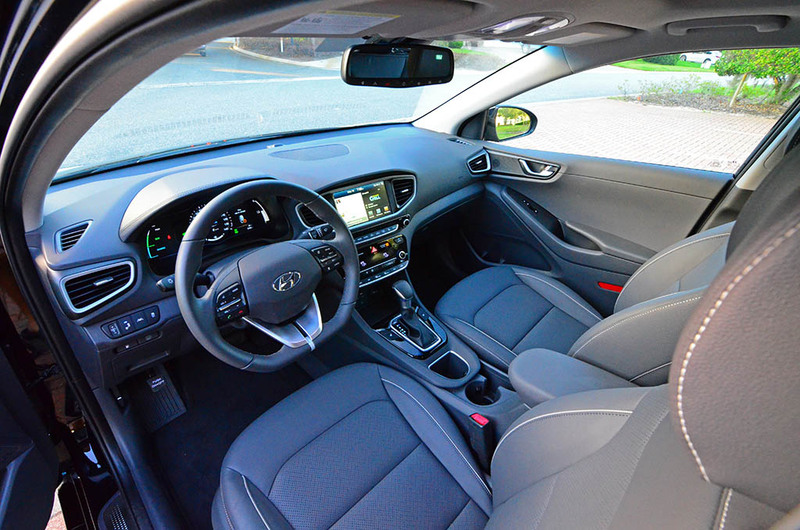 Hyundai did well here with just about every aspect of the power transition moments and taking use to the direct dual-clutch transmission that remains to be puzzling due to its rather lazy shifts that would otherwise be expected to happen much faster than the due in the Ioniq. 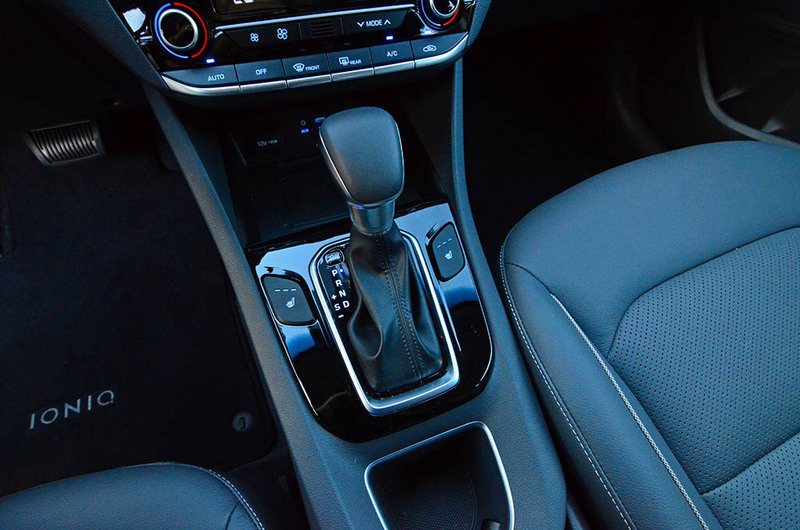 I can’t help but think that the dual-clutch auto transmission is sapping some of the excitement out the drivetrain, which could have been a bit livelier in Sport mode. However, in Sport mode, there is a bit more deceleration which aids in regenerative braking as well as a livelier throttle mapping for a better mid-throttle advancement and feel. The gas engine also kicks in sooner in sport mode rather than being more of a “helper” in the default Eco mode coming to the aid to get the Ioniq up to speed and then rest on the use of the batteries middle of the row battery power reserve. 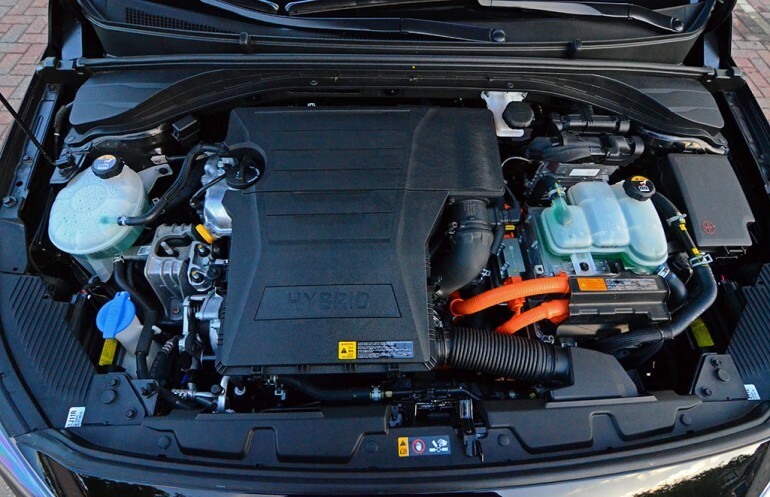 The management of the battery power and wise use of the gas engine all formulate a respectable drive quality, just like you get in any gas-powered vehicle. 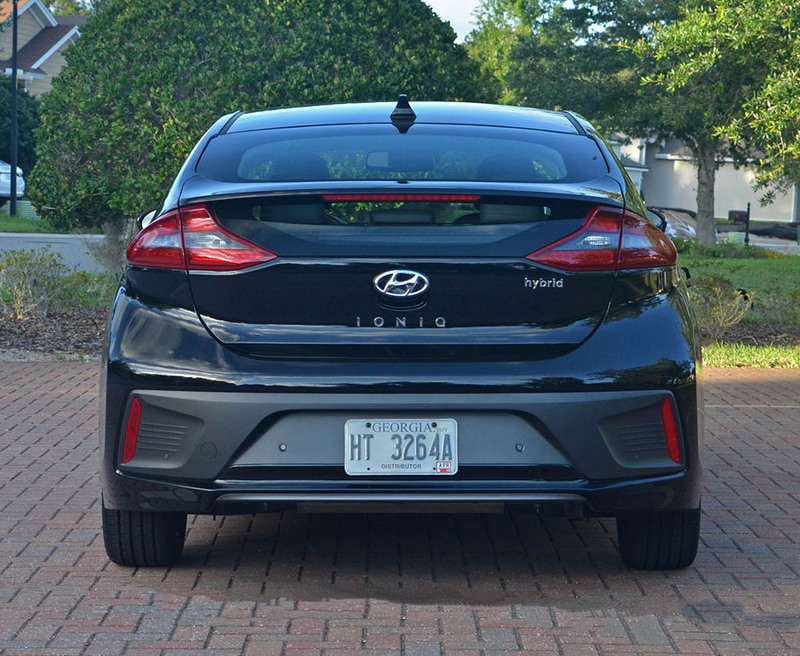 The available instant torque is a nice filler for getting the Ioniq off of the line or in the need for an initial grunt to overtake vehicles on the road. Though, not quite an athletic performer on the road, the Ioniq is at least as fast or faster in some cases than its Prius competition. 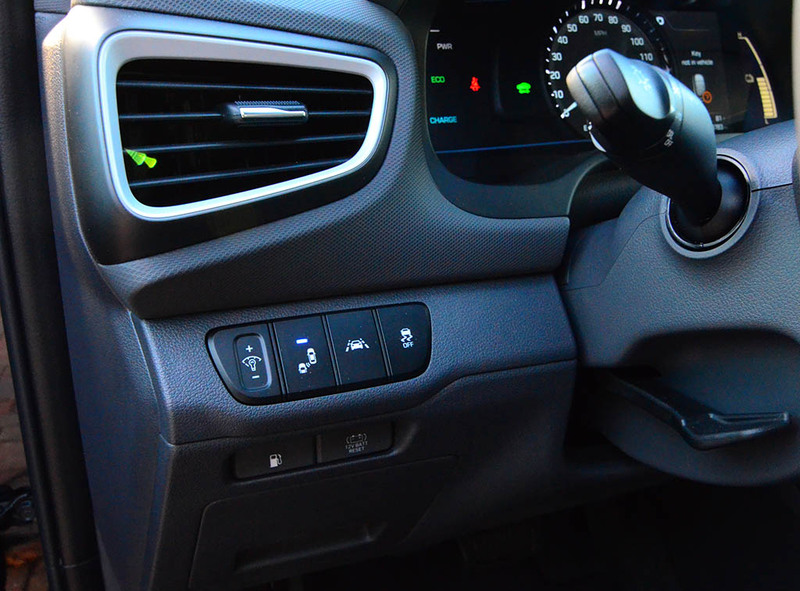 In all, the Ioniq has the benefit of having a more direct connection to its front drive wheels by using a dual-clutch automatic transmission over Toyota’s choice of a CVT unit. The Ioniq also feels better suited for handling back roads and twisty canyons with a more adaptable suspension setup over the Prius without sacrificing overall ride comfort. 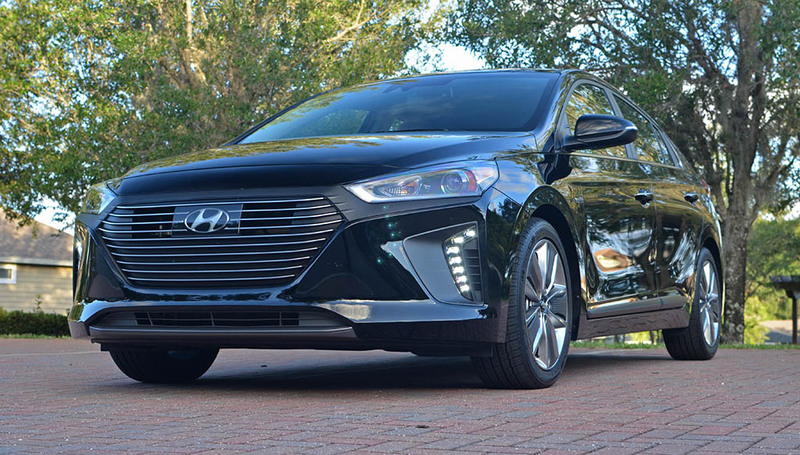 The full disclosure in the purposes of the Hyundai Ioniq resides in its ability to muster out some amazing fuel consumption numbers, and it does just that. However, I found the Ioniq to be a bit more inconsistent that I would like in landing decent mpg figures. I saw some of my worst figures around town as low as 44.5 mpg and some of the highest figures around 70 mpg. No joke, folks! 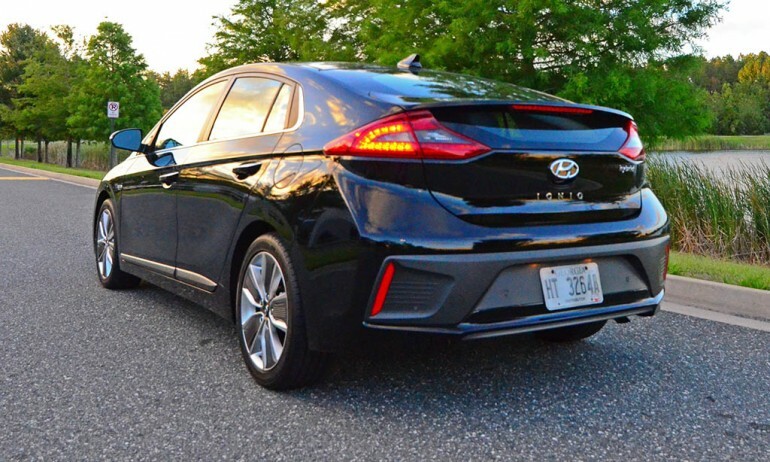 To tell the truth, the Ioniq’s ability to get its EPA-estimated 56 mpg city and 55 mpg highway is all in conscious driving. 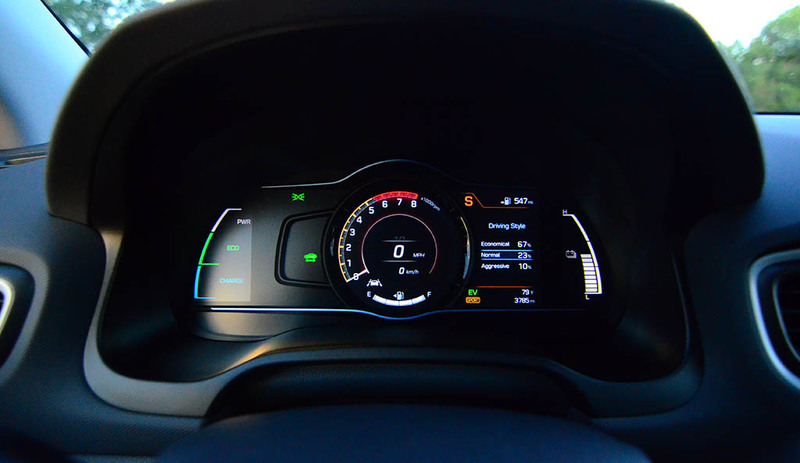 What I mean hear is the Ioniq somewhat promotes efficient driving from its color LCD gauge cluster with live readouts of the power management. 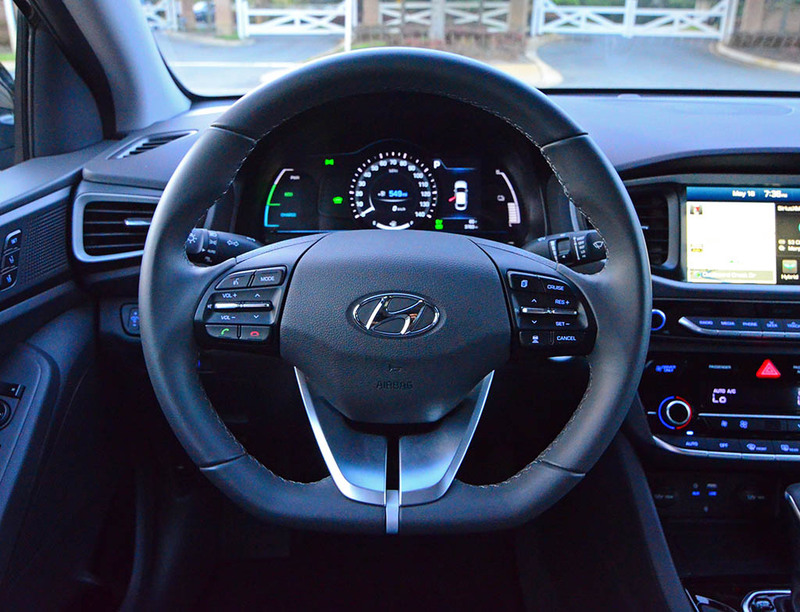 By paying close attention to your driving style, which is also displayed in a menu on the colorful cluster screen, you will be in a better position to land respectable mpg numbers. With that, there is no issue reaching the EPA estimates. It does take some practice and sometimes you will clearly miss the target when you find yourself in face-paced traffic that doesn’t have enough patients to keep from laying on their horn or flashing their lights at slower traffic in front of them. Just take my word for it. The Ioniq as a remarkable drag coefficient of just 0.24 Cd, partly thanks to grill shutters that close at speed. 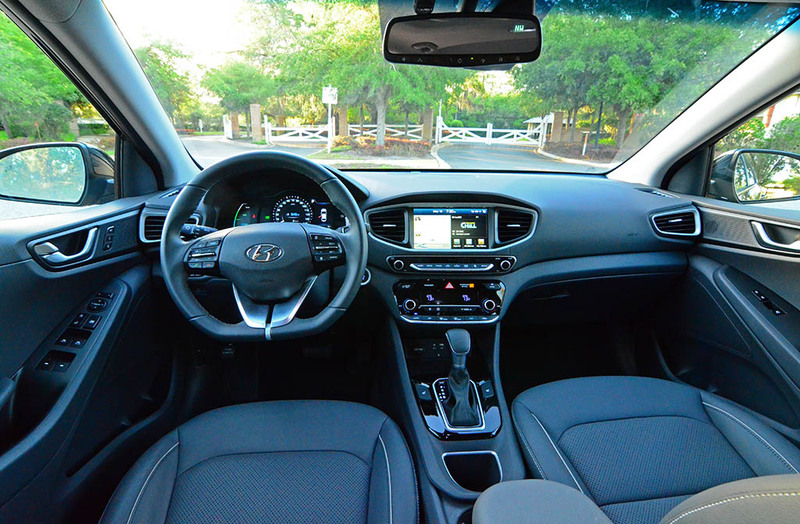 With a total of three trim levels offered in the new Ioniq, Hyundai attempts to offer a wide range of folks something in their most fuel efficient vehicle yet. 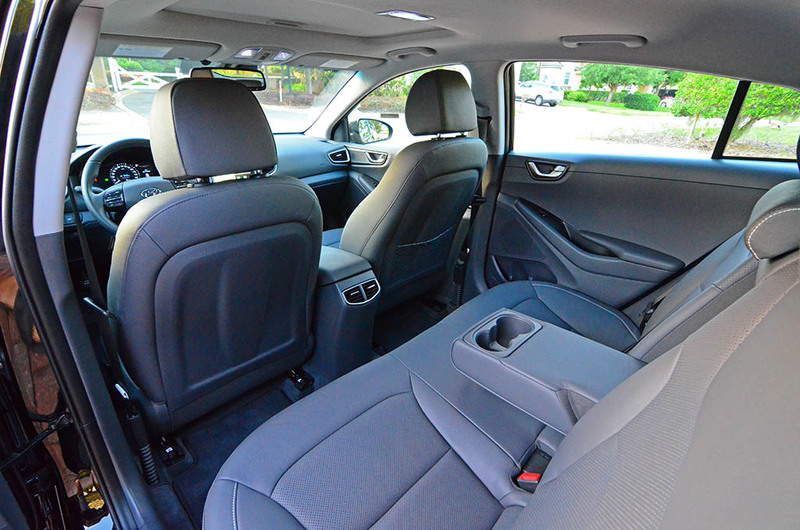 The base Blue trim is the most efficient, with an EPA-estimated 57 mpg city, 59 mpg highway, and 58 mpg combined, is able to get the better numbers in part by a lighter curb weight due to a lack of many creature comfort features and amenities. 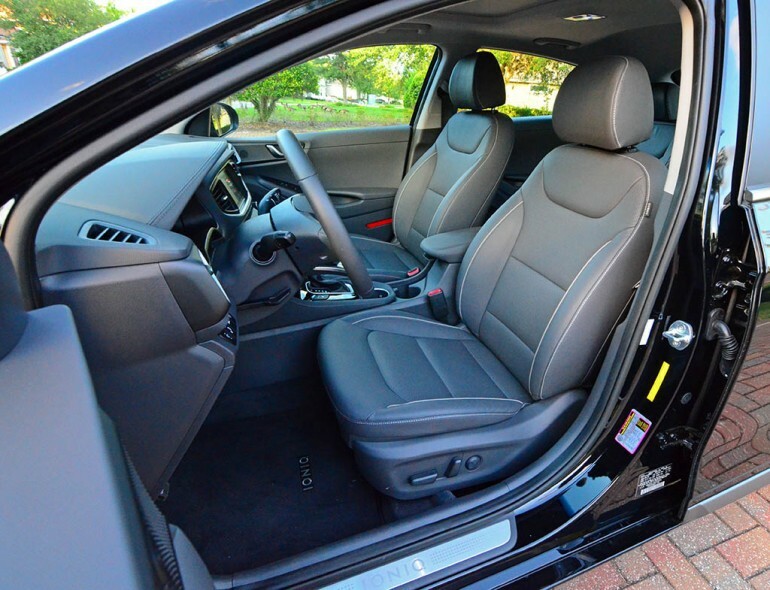 A nice compromise would be the mid-level SEL trim, which adds on heated seats, heated side mirrors, LED daytime running lights, LED taillights, power driver’s seat, leather-wrapped steering wheel, chrome interior accents, blind-spot monitoring, rear cross-traffic alert, and the availability of a tech package (adaptive cruise control, automatic emergency braking, lane departure warning). 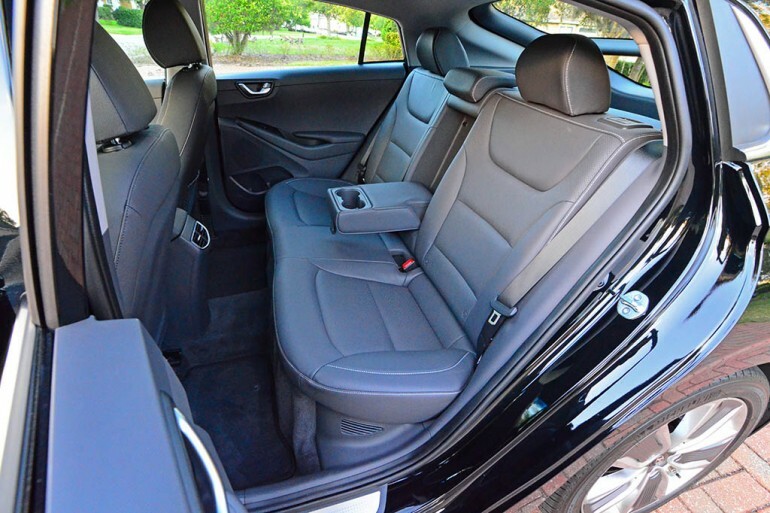 My Ioniq Limited test vehicle, being the highest trim level, gets LED cabin lighting, 17-inch alloy wheels, sunroof, Xenon headlights, leather seating, auto-dimming rearview mirror, and the Hyundai Blue Link telematics system. 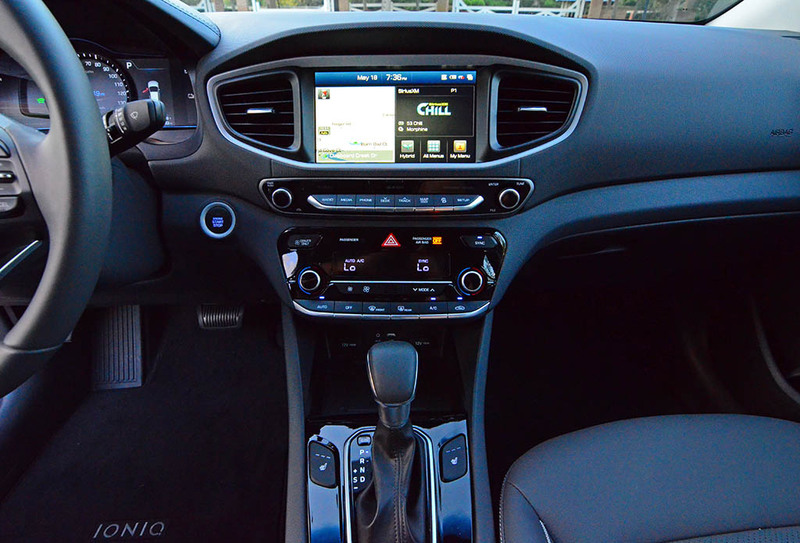 There is also the availability of an Ultimate Package, which was also equipped on my test vehicle, adding a high-resolution 8-inch infotainment touch screen with navigation, eight-speaker Infinity sound system, rear parking sensors, driver-seat memory, wireless cellphone charging, and turn-swiveling headlights. 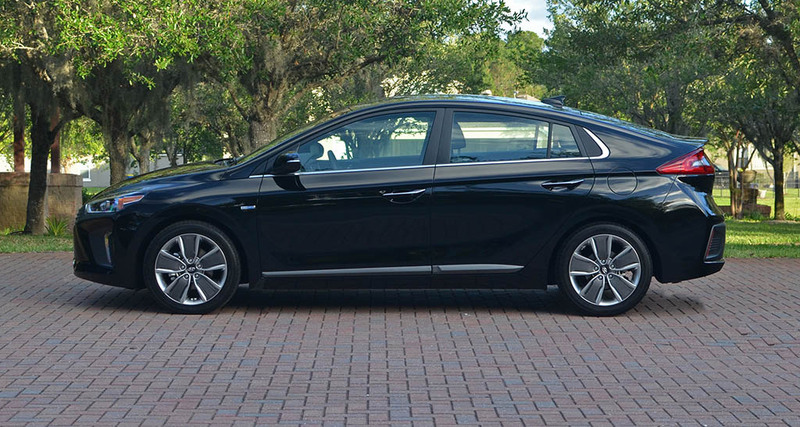 The pricing of the new 2017 Hyundai Ioniq starts at a respectable $22,200 for the base Blue trim. 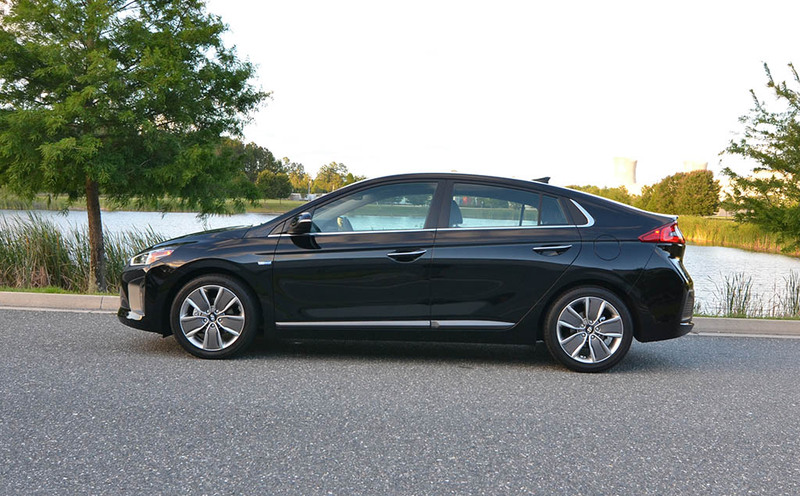 Moving up to the SEL trim the Ioniq starts at $23,950 before options and $27,500 for the top Limited trim. 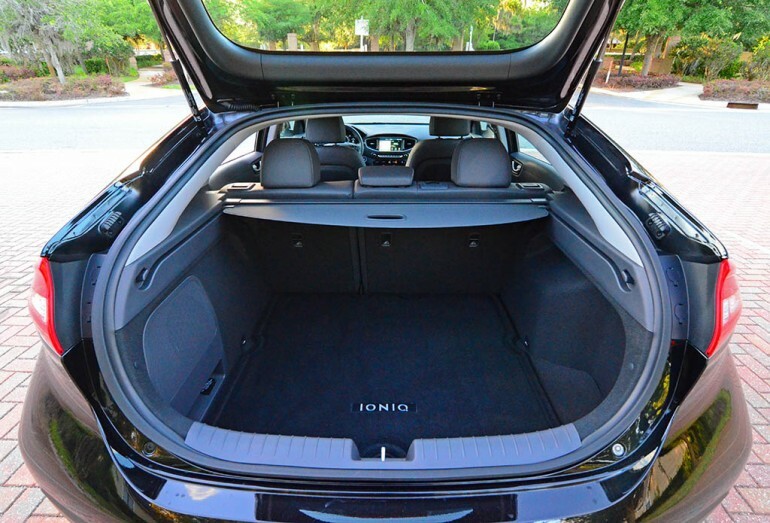 Tacking on a couple option packages to load up the Ioniq brings the price to $31,460 as-tested, which includes an $835 freight and handling charge. Hyundai also offers a new Ioniq Electric for select markets starting at a price of $29,500.